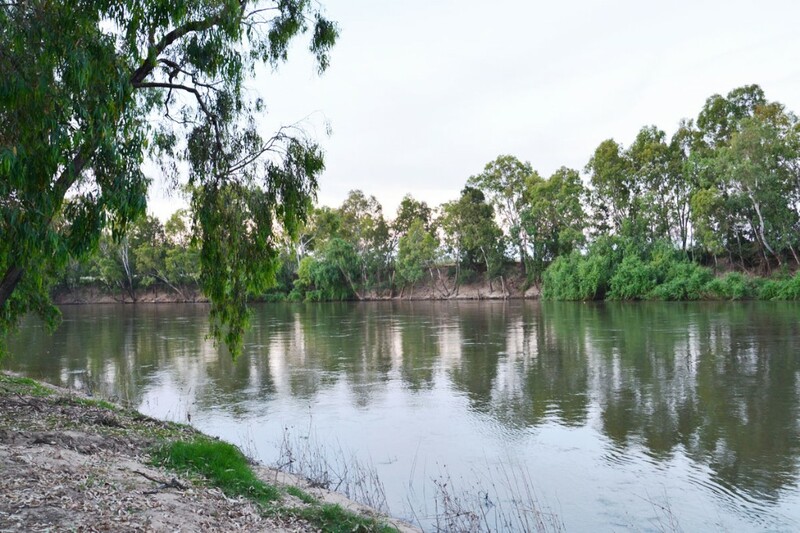 The Murrumbidgee River has been the central feature in the development of Wagga Wagga. 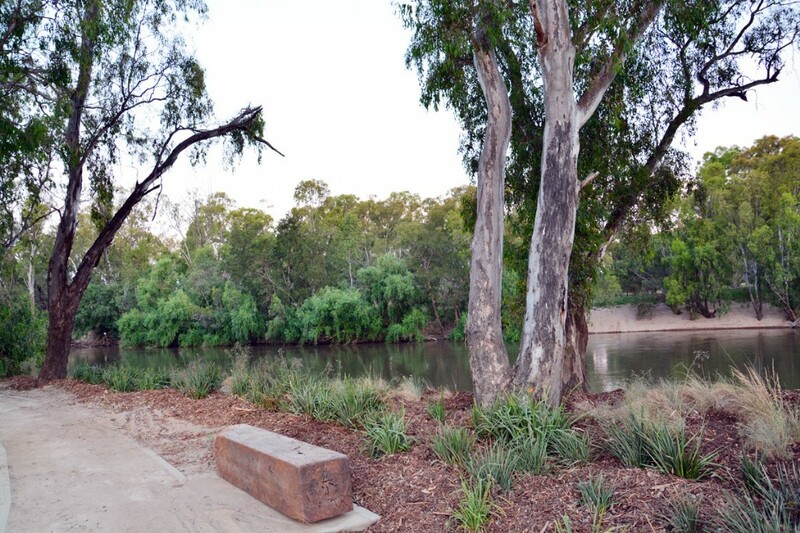 Murrumbidgee is derived from the Wiradjuri name for the river, “Marrambidya” and is central to the country and dreaming of the Wiradjuri people. 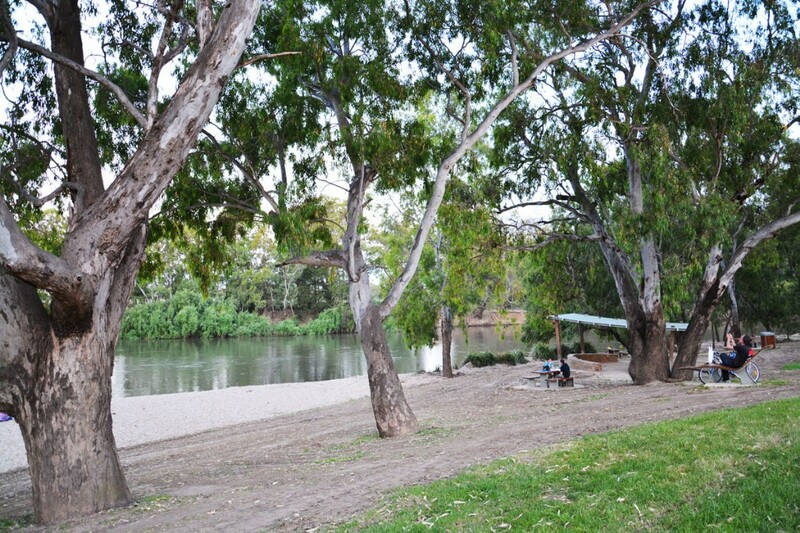 The Wagga Beach has been an important social space in the history of Wagga Wagga’s interaction with the Murrumbidgee. 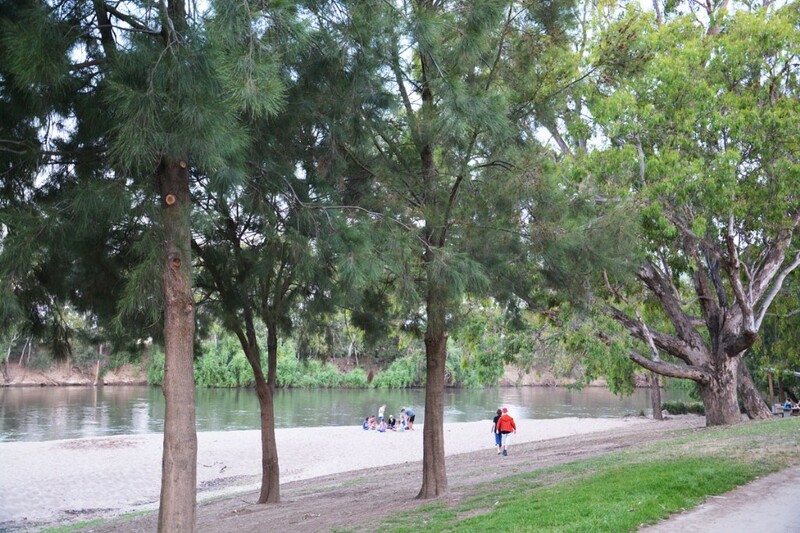 As a gathering place to have a swim, enjoy a picnic or float from the rocks, the Wagga Wagga Beach holds memories for many people of Wagga. 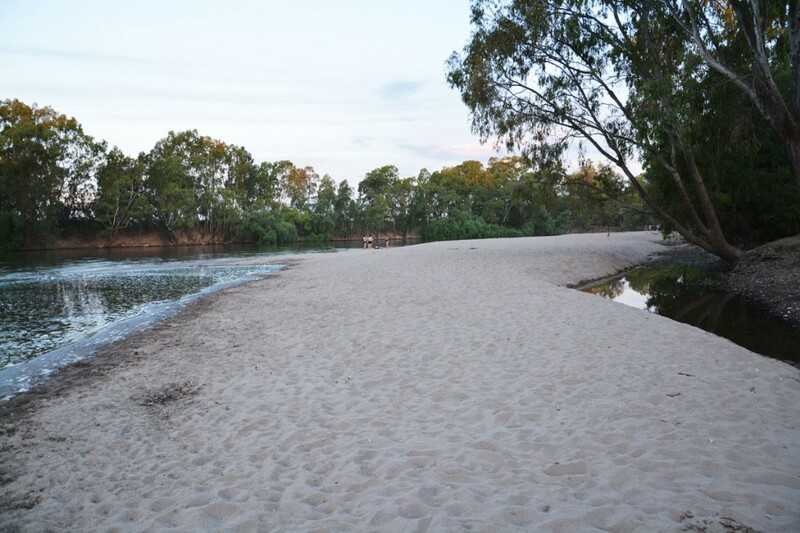 Wagga Wagga Beach is a popular swimming location in summer. It has a large car park for parking boats, trailers or caravans. 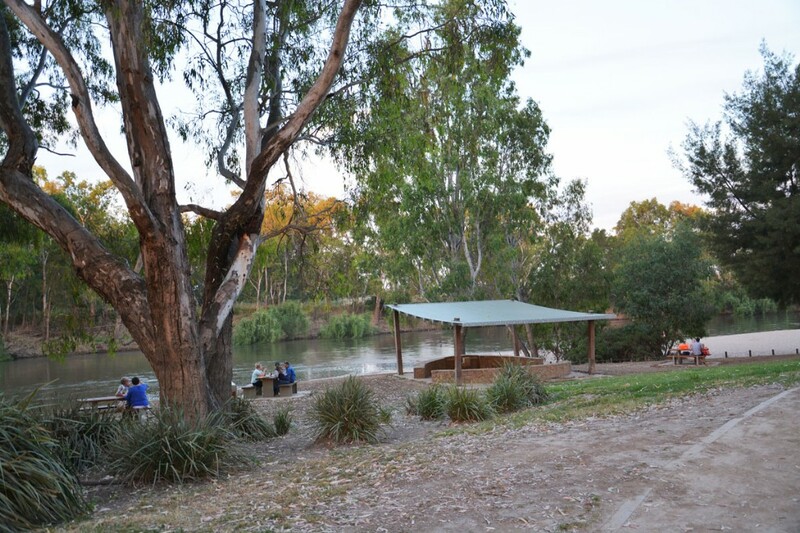 The grounds are well maintained by Wagga Wagga City Council offering electric barbeques, a serviced toilet block, tables and chairs and plenty of shade. Why are those hooks there? If you look down towards the river, you will some large hooks that have been driven into the rocks. This place, along with other spots along the river, was used as part of bridge building training during the Second World War. 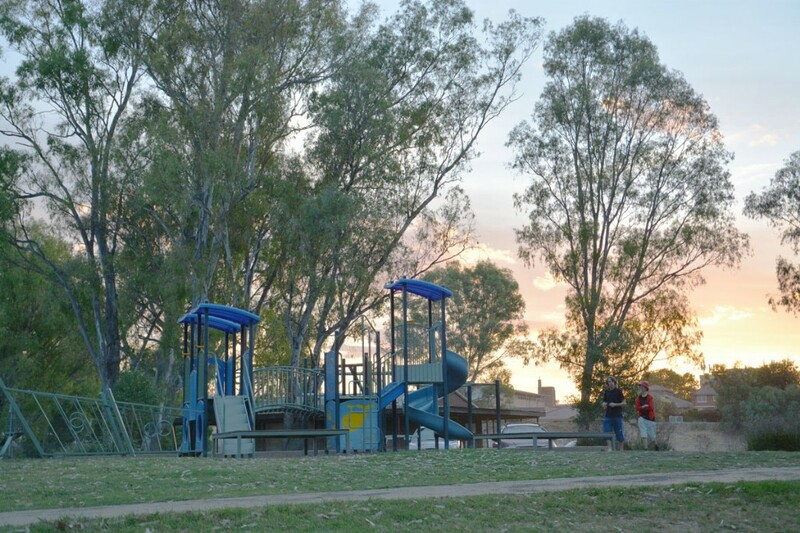 Kapooka Army Camp in Wagga Wagga was established as a training facility in 1942, although troops were stationed at the showground from 1940. Recruits at Kapooka underwent 14 strenuous weeks of training to prepare them for the jungles of New Guinea and the difficult conditions of the Pacific Campaign. Most of this training took place at Kapooka Army Camp; however, bridge building exercises took place over the Murrumbidgee River. Over 47,000 recruits were trained during the war, many of them as Army Engineers, or ‘sappers’. Recruits learnt basic skills such as squad and rifle drills, marching, physical training, bayonet practice and small arms training. Specialist engineering training included demolition work, mine laying and detection, and bridge building. These hooks were probably used to build ‘pontoon’ bridges, which were temporary floating bridges. As a final test, troops were sent on a demanding ‘assault course’. In a realistic challenge, troops were attacked by low flying aircraft as they completed the course. 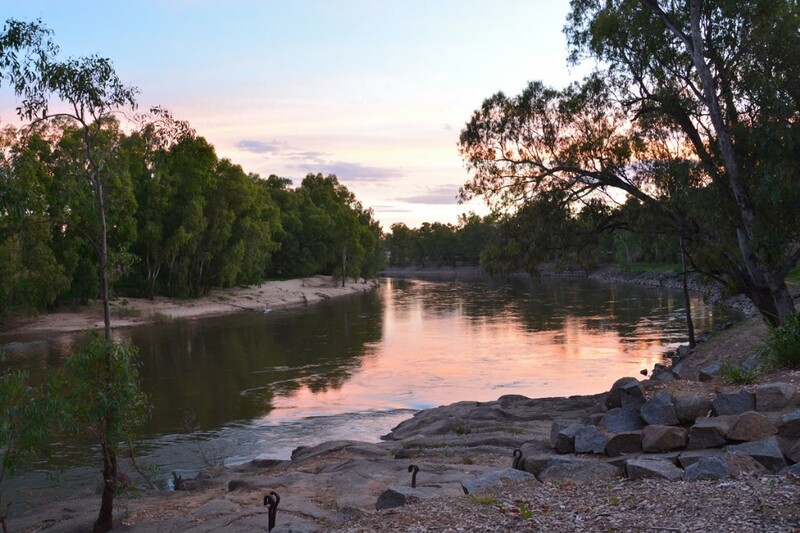 These hooks are a reminder of the time that the Murrumbidgee River was called into war service.